Iran’s health ministry says the country has managed to quadruple the number of its HIV rapid testing centres from 2,000 in 2017 to 8,200 in 2018. In a message on the occasion of World AIDS Day, Iranian Deputy Health Minister Alireza Raeisi said rapid HIV tests are going to be distributed at drug stores across the country in a bid to compensate for the slowness of the HIV diagnosis process. 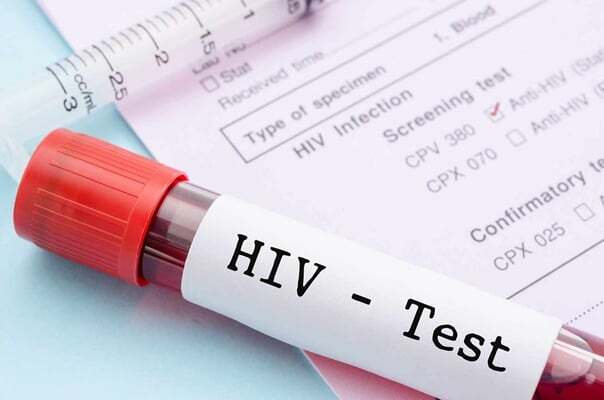 The health official noted that increasing access to HIV detection tests is very important and the government is determined to detect the patients. “If the test is not accurate, the possibility of negative result is high. So along with these tests, there should be an expert too,” he added. Rapid test has been conducted on more than one million people in the country, which shows a 52% increase compared to 2016. First off, the high-risk people have to be tested, he said. So in the first step, he stated, the tests will be carried out mainly on those being treated in Methadone Maintenance Treatment (MMT) centres. “There are currently more than 7,000 MMT centres that can be covered by HIV tests,” he went on to say. He also expressed hope that there would be a prospect of a stronger will to fight HIV in the country. “The most important thing we learned over the past 40 years is that education and information are the most important factors in preventing infectious diseases, including HIV,” he added. “We estimate that there are about 60,000 people infected with HIV in the country. At present, we have been able to identify less than half of this number, and those under treatment are about 14 to 15 thousand,” he said. “Meanwhile, the virus level has been measured for 7,000 people and 5,700 people have responded well to the treatment,” he underlined. 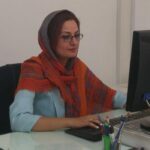 Raeisi stressed that the ministry will also reward those who find a new case of HIV-infected patient. “If we can find the newly infected person within 72 hours and treat him/her within 28 days, the disease will be controlled; otherwise, the person will be infected,” the official noted. The official underlined that there are about 1.5 million pregnant women each year, and they are among the target groups of HIV prevention and should be screened. “By early 2017, over 570,000 pregnant women were monitored and we were able to find 113 HIV-positive cases. Fortunately, in 111 cases we could prevent HIV-positive births,” he said. “Fortunately, we set up four HIV drug resistance laboratories despite the US sanctions, and equipped 41 centres with the CD4 as well,” he noted. One-third of HIV-infected people die of tuberculosis, and a person with HIV is highly susceptible to TB. For this reason, he said, we perform a tuberculosis test on them for free and also treat them free of charge. At the same time, the launch of four mobile clinics in the country is very effective in providing services in deprived areas and increasing the prevention of new HIV cases. Since 1988, December 1 is named as World AIDS Day. It is an international day dedicated to raising awareness of the AIDS pandemic caused by the spread of HIV infection. Government and health officials, NGOs, and individuals around the world observe the day, often with education on AIDS prevention and control. World AIDS Day is one of the eight official global public health campaigns marked by the World Health Organization. As of 2017, AIDS has killed between 28.9 and 41.5 million people across the globe. Estimates say 36.7 million people are also living with HIV. Thanks to recent improved access to antiretroviral treatment in many regions of the world, the death rate from AIDS has decreased.